Today was a wonderful day in Arizona full of Christmas cheer. Church was only an hour and at ten am so we waited till after to open prezzies. Talk about torture! Something funny- Cam mentioned it's funny how church was only an hour on Christmas because we are celebrating Christ today so it was just ironic. Supes funny! But it's cool, I was ready to skip home and tear apart the shiny presents in the living room. Got some pretty sweet goodies but this one took the cake. 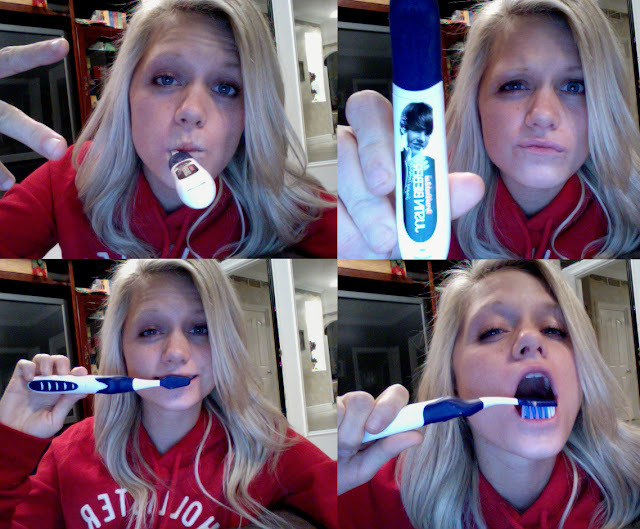 My Justin Bieber toothbrush. It sings a song in the morning and at night time for 2 minutes so I brush correctly! Gotta love the Biebs for helping me with great dental hygiene! What a guy. I got two! One from brother Chris and his wifey Tani and one from Daddy aka Santa. .They know me oh too well. Anyways, Merry Christmas. And don't forget: Jesus is the reason for the season. haha omg what a great idea! a song so i know when to stop! Haha even though I'm not a fan of Justin, that's still awesome and funny! lol :) glad your Christmas went well. Whaha I didn't even know they made Justin Bieber toothbrushes. Funny. 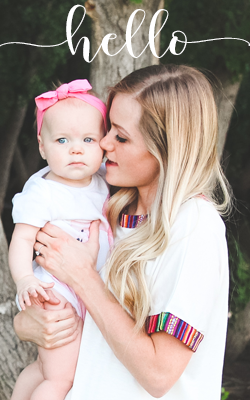 Candace ... your blog may just be my new favorite. You love the green grass and singing toothbrushes?! I don't think it's possible to love those things and not be awesome. Definite follow. Woo!